Student’s Book: 5 units, each comprised of 5 lessons and a review section. 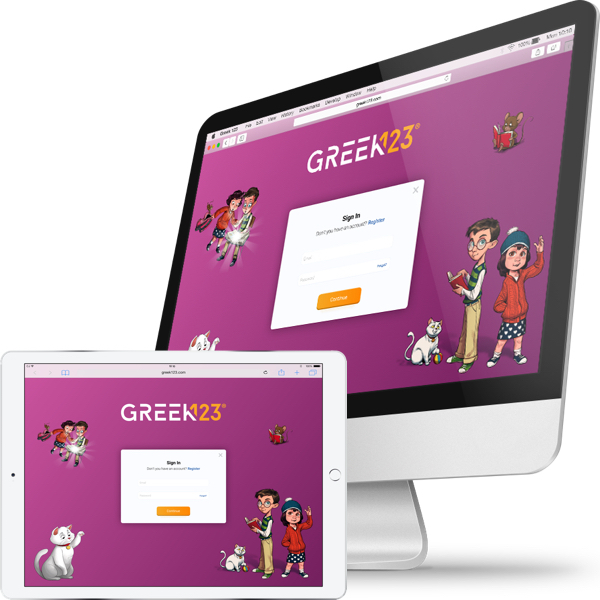 Every lesson introduces a letter and simple age-appropriate words, has a reading section, exercises and a speaking section. The reviews have special Storytime episodes, original songs and reinforcement exercises. 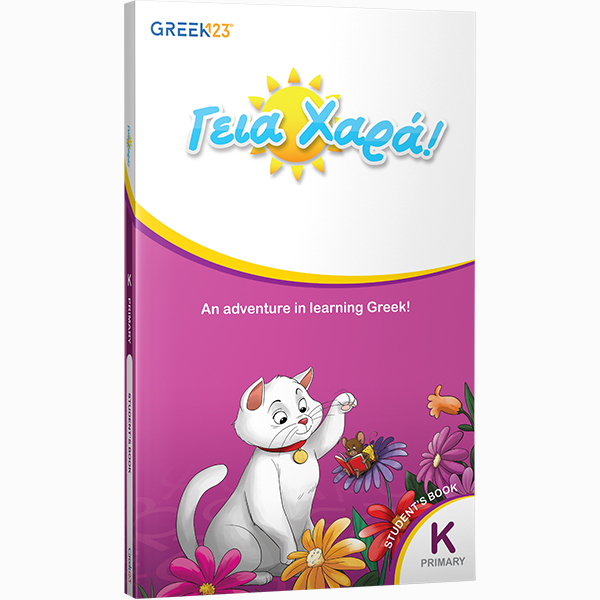 Other sections include an introduction, grammar notes, having fun with sounds, K reference pages (the body, colors, feelings, numbers 1-10), Greek-English and English-Greek glossary. The beautifully illustrated pages bring the unique Greek heritage and culture to life! Practice: There is thorough practice of all skills – Reading, Writing, Listening, and Speaking – in each unit as well as a featured grammar point with plenty of exercises for practice. Students receive the necessary tools to excel at the kindergarten level and start their progress toward certification and fluency. 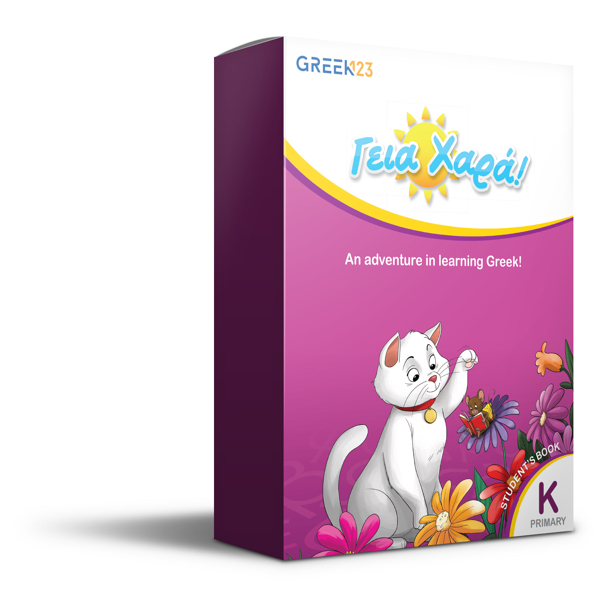 Having Fun with Sounds: In this special section, our lovable characters provide extra help to young learners on how to properly pronounce the more difficult Greek letters.